All of our Wonderful Pistachios are grown in our California orchards and roasted to perfection. And with our unsalted pistachios, you can enjoy the same rich roasted flavor with none of the sodium. 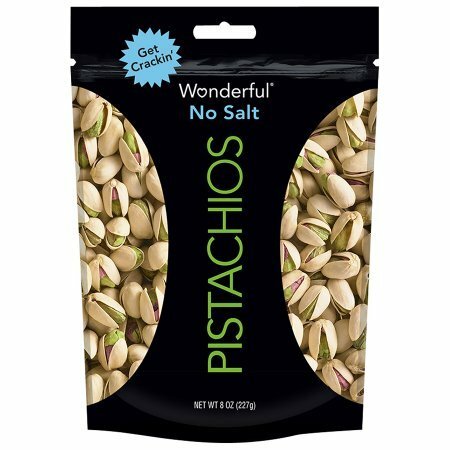 So get crackin with Wonderful No Salt Pistachiosa delicious, good-for-you choice for everyday snacking and entertaining. If you have any questions about this product by Wonderful Pistachios & Almonds, contact us by completing and submitting the form below. If you are looking for a specif part number, please include it with your message. 2 Pack - Wonderful Roasted & Salted Pistachios 8.0 oz.